Oro Grande implemented Naviance in Fall 2014 in order to provide equity of access to all and to help their students identify and pursue their goals after graduation. After making college and career readiness their top priority, Aptos High School staff and administrators decided to implement Naviance. By working with their Naviance consultant, Aptos had counselors trained, data in place, and provided teachers access by the first day of the school year. Their main goals included assisting seniors in their college research and planning, and allowing freshman immediate access to Naviance to receive its benefits throughout all four years. By January of 2017, Aptos High School had all grade levels accessing Naviance regularly, exceeding their goals for the entire school year. 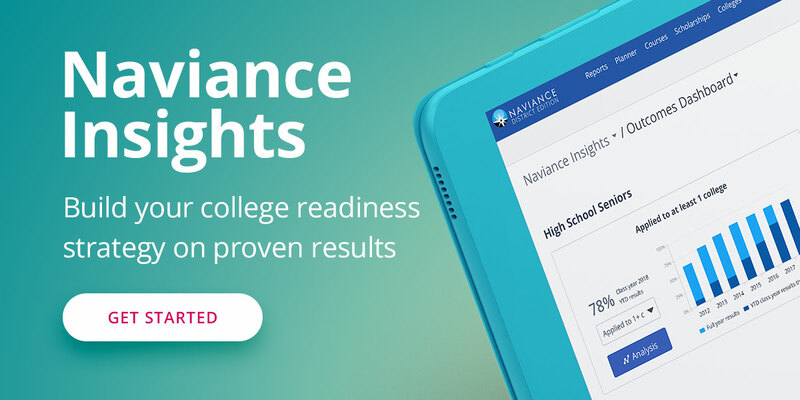 In order to support their mission of supporting “every learner in the quest to realize his or her full potential,” Berkley SD decided to use Naviance to streamline their college and career readiness initiatives.